Visitors using Engine Wall interactives. Photo by Ron Solomon (courtesy Ashton Design). Approaching the interactive touch station. Photo by Brad Cheney (courtesy Harley-Davidson Museum). 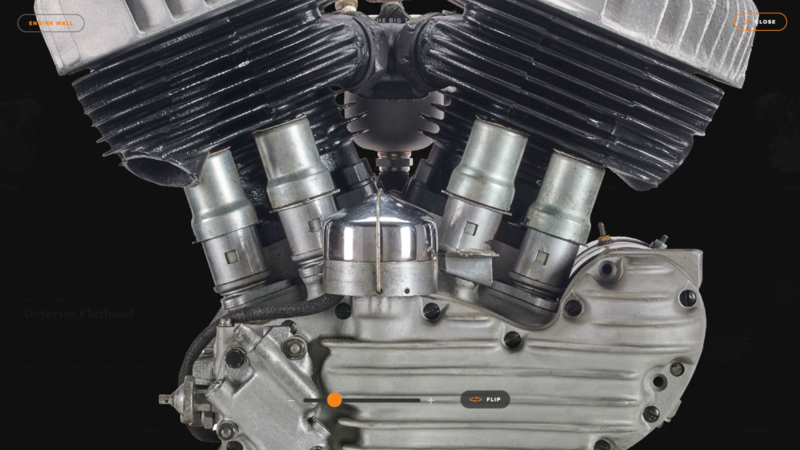 Single vs. twin cylinder approaches. 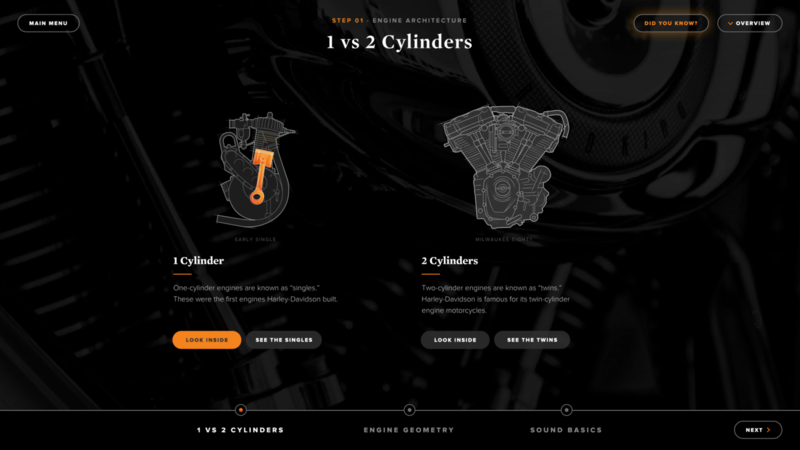 Comparing the "Knucklehead" with other Harley-Davidson v-twins. Multiple interactive stations can support a group of visitors simultaneously. 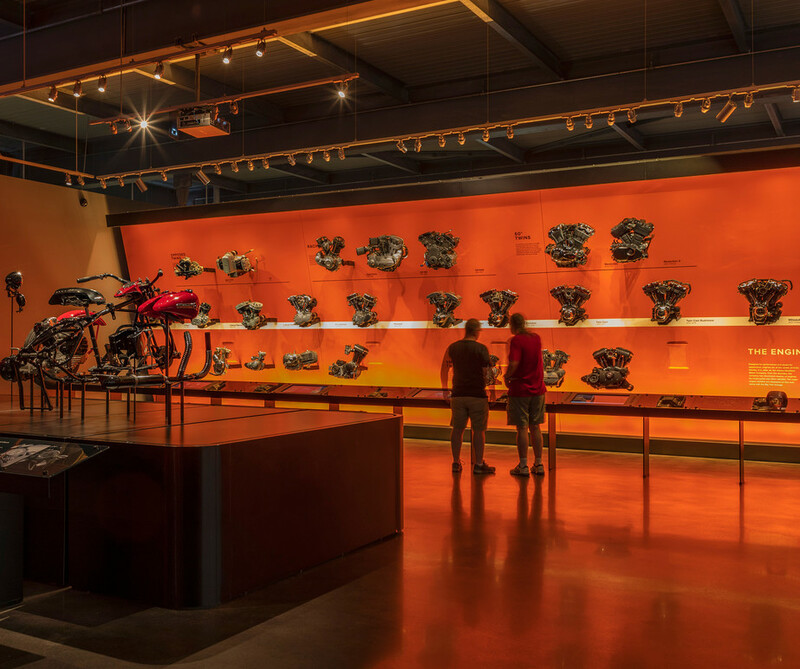 Photo by Brad Cheney (courtesy Harley-Davidson Museum). Engine Wall "free explore" mode. Visitors are encouraged to visit related bikes that are on display. Visitors can explore all of the details. Visitors exploring the Engine Room gallery. Photo by Ron Solomon (courtesy Ashton Design). 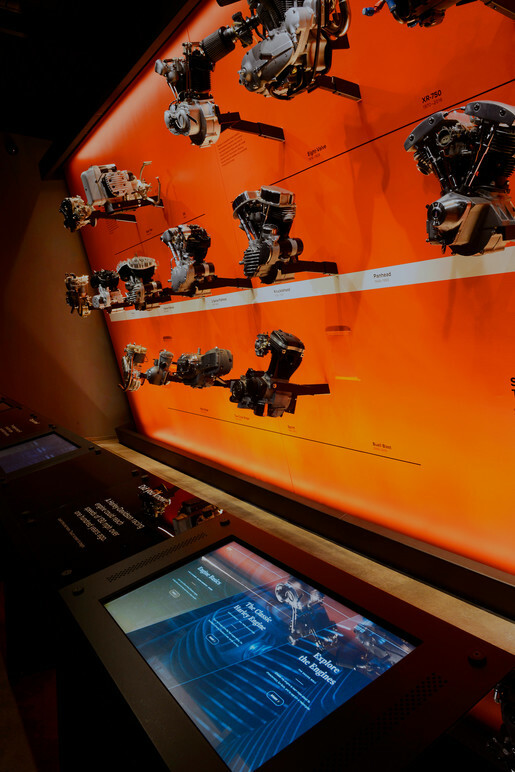 The Engine Wall Experience is an interactive interpretive exhibit and audio installation for the Harley-Davidson Museum that teaches the lineage and inner workings of each historically significant Harley-Davidson engine—with a special emphasis on its v-twin family. 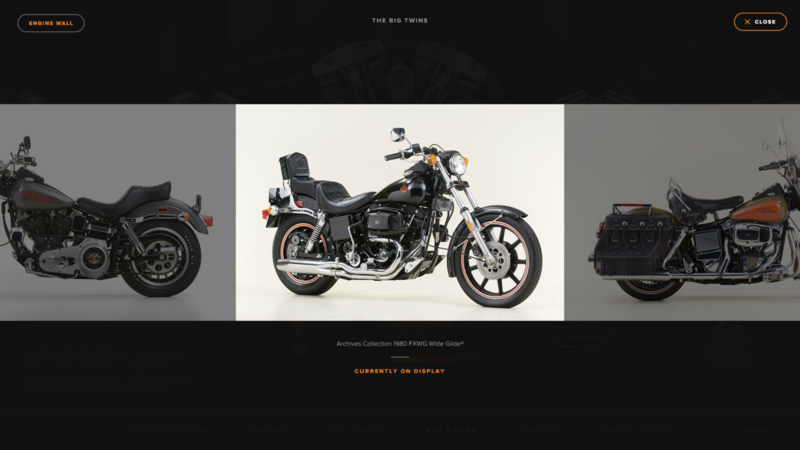 Belle & Wissell worked closely with the Harley-Davidson Archives team and exhibit designer Jeremy Hoffman (Ashton Design) to re-imagine the visitor experience that was initially presented by the same team in 2008, when the museum first opened. 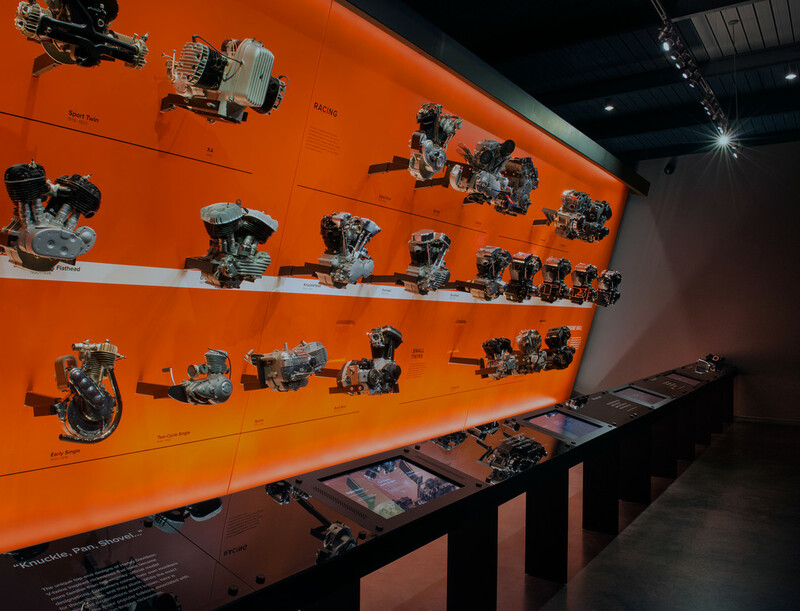 This installation tracks the development of Harley-Davidson engines from the early days of the 1903 Atmospheric Single through the latest product offerings, all with full fidelity engine sounds and user-controlled touch stations. 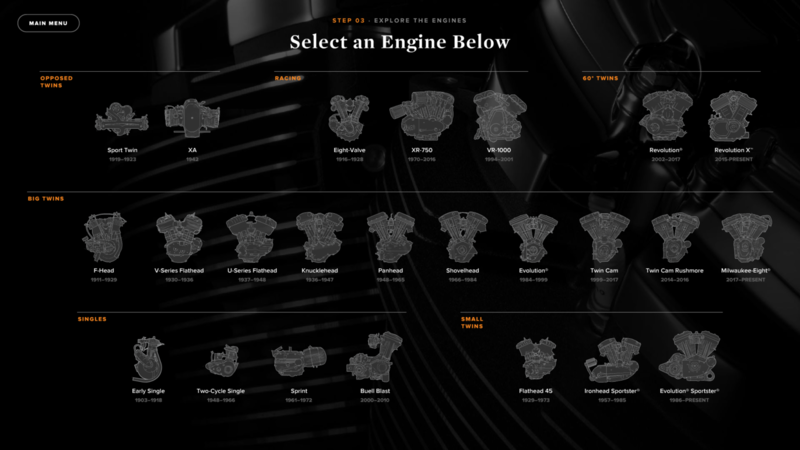 Engines are grouped and compared side-by-side to better illustrate the evolution of design and engineering at Harley-Davidson. 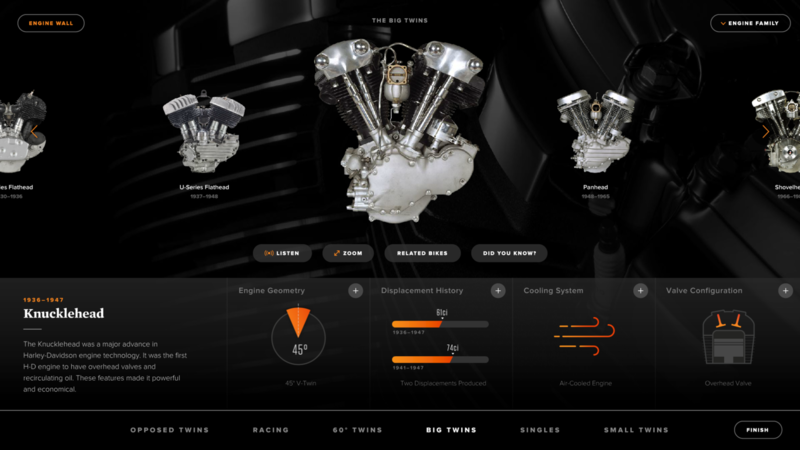 For each engine, users can see detailed specifications, learn about its history, and see all related bikes that utilized the engine. 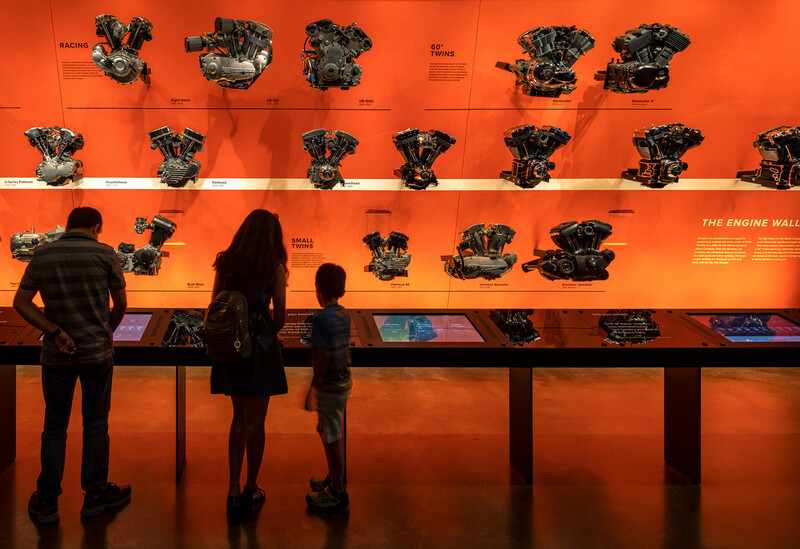 Low frequency speakers—wall-mounted behind the physical engines—allow visitors to trigger the loud rumble of each machine.